Our most popular card: no mess, no fuss, and no nasty surprises. Enjoy the benefits of a straight forward credit card with a low rate and no annual fee. Terms, conditions and lending criteria apply. 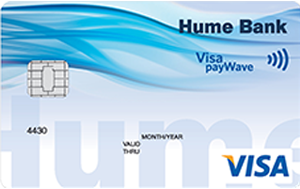 You might also want to consider a Hume personal loan as an option to financing your needs. When choosing either a personal loan or a credit card, consideration needs to be given to the amount of credit you require as well as the features of both types of products, including the interest rates, fees and charges and the purpose for which credit is sought. Government legislation requires us to provide you with a Credit Card Key Facts Sheet when applying for a credit card. 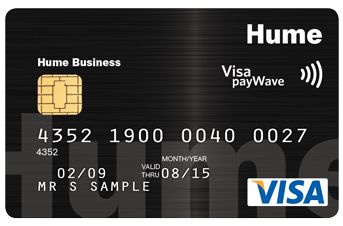 This information sheet contains standard product information about Hume credit cards. Please read the Product Disclosure Statement and Fees and Charges brochures (also available in branch, by phoning 1300 004 863 or here) and consider whether this product is right for you.